Sometimes I wonder if I’m greedy, selfish or just full of gluttony and materialistic things I don’t need in life. And I’d reply by: yes, yes I am very greedy and selfish and materialistic. I guess it’s because I haven’t found something I am passionate for that could supersede the feeling of void and longing for something cute and expensive. However, there needs to be a balance in life and that balance in life is a easy medium between treating my self…. and acknowledging what I actually DO need (goodbye, pink glitter gel pen with bedazzled jewels) by having the “bear necessities” of life, ha! Another thing that I enjoy in life would be stationary. That’s it, stationary. It has been one of my obsessions ever since and I have not since then, strain my relationship with adorable and sometimes (mostly) functional pens and sticky pads. 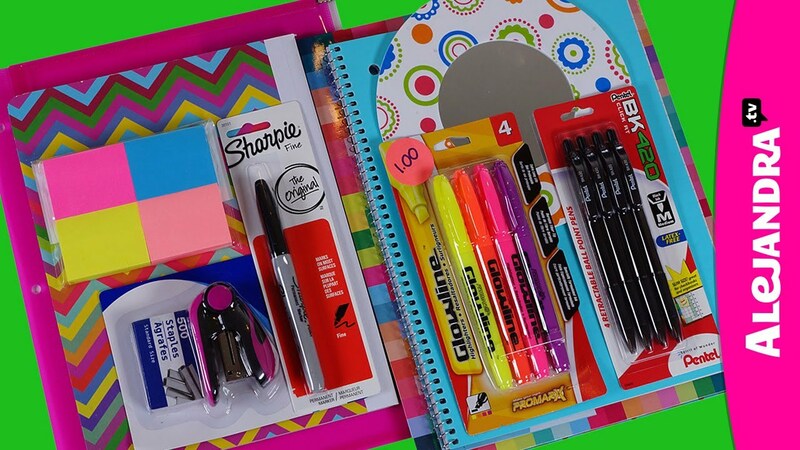 I’ve read that the obsession over buying school supplies in the beginning of the year promotes a feeling of productivity, giving you that giddy, happy feeling you receive. Not to mention, how adorable they are?? It’s extremely painful to walk past the school supplies section without going through the new pens and colorful memo pads they have to offer. I love feeling organized and I often relax whenever I get the chance to clean my room or anything because I can rearrange and try different ways of putting stuff while keeping it aesthetically nice and neat which is why Buzzfeed’s DIY section is the only section I’ve come to love for the new tips and ways of keeping anything clean. And I wonder if anyone here relates, but I often oogle (my way of saying staring happily at something) at the sight of organized lockers, binders, notes, containers, anything! It truly does give me a feeling of happiness and relaxation. Plus, organization and school supplies are the ONLY reason why I would be excited for school to start and DISAPPOINTED when school ends. In addition, getting a B on a math test is the greatest joy yet. Or receiving Ever since high school has started, I have officially deemed myself terrible at math. Now, 8th grade algebra was the turning point but I ignored that feeling of discontempt whenever I didn’t do so well on a math test. So whenever I receive a B (I haven’t received an A this year! ), I usually tear up and the rest of my day becomes a good day. Same goes for making any arts and crafts or a new recipe. It seems as though whenever I follow a recipe, step by step, I always feel paranoid and put a little less than usual or a little more than usual or improvise a tiny portion of the recipe, messing it up and destroying my self esteem. For example, when I made cake pops for my Innovation Project, I ended up putting too much frosting, thus making my cake pops way heavier than usual so it couldn’t stick on the lollipop stick. It looked very easy at first but after I made the cake (which was undercooked for some reason…), the decorating, the planning, the cleaning… just overwhelmed me and lowered my self esteem once again. But then I remember Zainab remarking how good the cookies I made for her birthday were. I was surprised since I tried a new recipe for the cookies rather than sticking to the original Toll House chocolate chip cookie recipe. Nevertheless, I was extremely proud and happy that I happen to make someone impressed by the fact that they run a delicious baking blog! I simply believe that the best things in life are underestimated as they’re often overwhelmed by the sight of luxury. For example, many people enjoy eating macarons because they’re so good but I can’t fathom why it’s so necessary to purchase a $2 1 1/2 inch French cookie? I enjoy macarons too but enjoying a regular fruit pastry that is bigger and sometimes cheaper, can give me the same satisfaction as eating a macaron, sometimes more! So in the life of Vivian, receiving a happy face next to an 85 on the most recent quiz, or perhaps getting a new pack of puppy sticky it notes, would remind me that besides the grades and the stress of finals and tests, life is good.